If you have teenagers at home, you know how challenging it can be to keep things between you and them on an even keel. With reputations for being moody, lazy, and glued to their mobile devices, teens might not seem like the best traveling companions. Mom and dad, take heart. A bit of forethought and consideration makes a big difference when traveling with teens. Here’s a bit of expert advice (tips from Family Vacation Critic) that will help make your next family vacation a more enjoyable experience for everyone in the family. If your teen feels they have a say in what’s going on, they are much more likely to participate happily and willingly. Before you even start packing, sit down together as a family and figure out what to put on the agenda that will satisfy everyone’s interests. 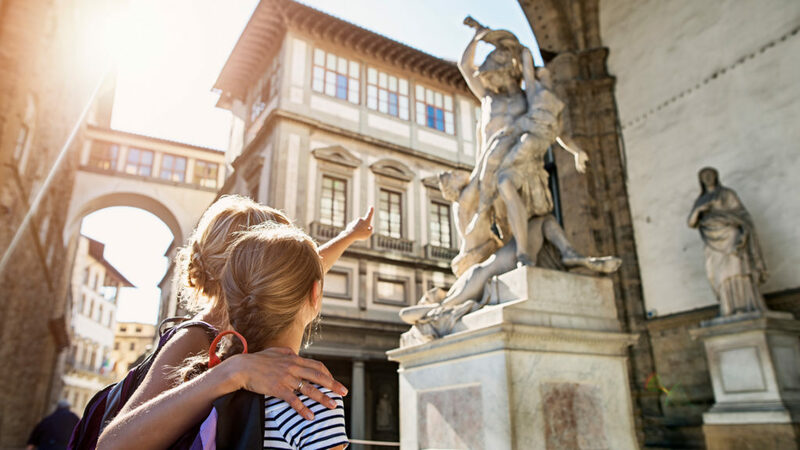 Do you have a budding tourist in your family – someone who loves history or beautiful architecture? Maybe your teen would like to learn to surf or kayak. Perhaps mountain hikes hold appeal. Consider what activities your teen will most enjoy, and select a destination that suits them. Everyone wants a little something that reminds them of their travels, and your teen is no different. Decide in advance how much you’re comfortable letting them spend, and give them the cash. When your teen is in control of his or her spending, they tend to be more selective with what they buy, and the autonomy that comes with having their own money will give their mood a boost. Having a best friend along on the trip is a sure-fire way to keep your teen happily occupied, and it could give you more time to yourself as well. If you can get their parent’s on board, an extra travel companion from outside the family might be well worth the extra expense. If they’re old enough, let your teen do the driving now and then while on vacation, or designate them the navigator, supplying directions for getting where you’re going. Split the grocery list with them when you’re at the market and meet up at register later on. Giving your teen things to do will keep them from getting bored and make them feel more like an equal. You’re on vacation, and although there will be days when you want and need to get everyone out the door early, there’s no harm in letting your teen sleep in sometimes too. They’ll feel better and you’ll have time to yourself in the morning to enjoy anything you personally want to do.